Gear fabric with silver backing. Gear fabric - Perfect for making lean to shelters and stuffsacks for lightweight trekking purposes. Not suitable for replacing heavy tarpaulins that are subject to wind and UV radiation on a daily basis. Silver backing, sold by the meter. 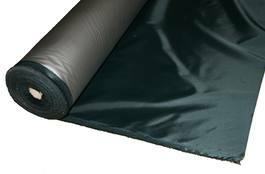 UV protected Taffeta 190D / PU. Colour: forest green. Price: 4 euros / meter, fabric width 150cm. Choose the amount of meters you want to purchase. If you for example need 4 meters, choose 4 “pieces” of this product and we will send you a 4m x 1.5m piece. Footprint for Hilleberg Nallo 3. Footprint for Hilleberg Nallo 2 GT. Ground sheet for Savotta SA-20 tent and the Savotta HQ tent. Four self-adhesive patches for fixing tent mesh fabric.